Save image to Photo Library > Share Sheet from Photo Library > ‘Use as Wallpaper’ > Choose ‘Perspective’ and don’t move the image at all. 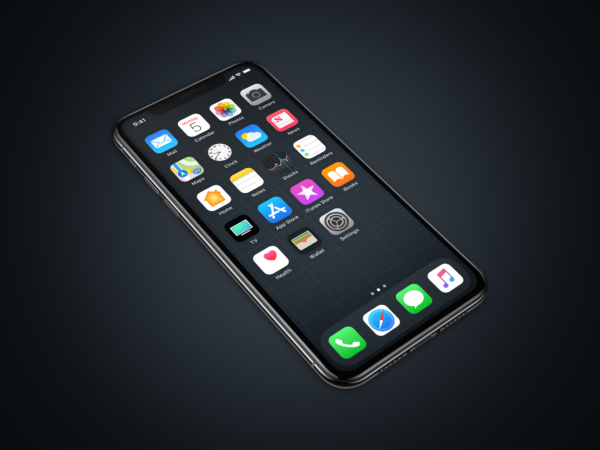 The CorteX wallpapers for iPhone X have been created to line up correctly with homescreen icons only when used in Perspective mode. This is to help mitigate the risk of burn-in on the gorgeous Super Retina display. Previous versions for iPhone 6/6 Plus and iPad can be found here.